Landell Mills recently organised an awards ceremony on behalf of the European Union Delegation to Nigeria and ECOWAS in collaboration with the Teen Trust Publication and the Federal Ministry of Education. 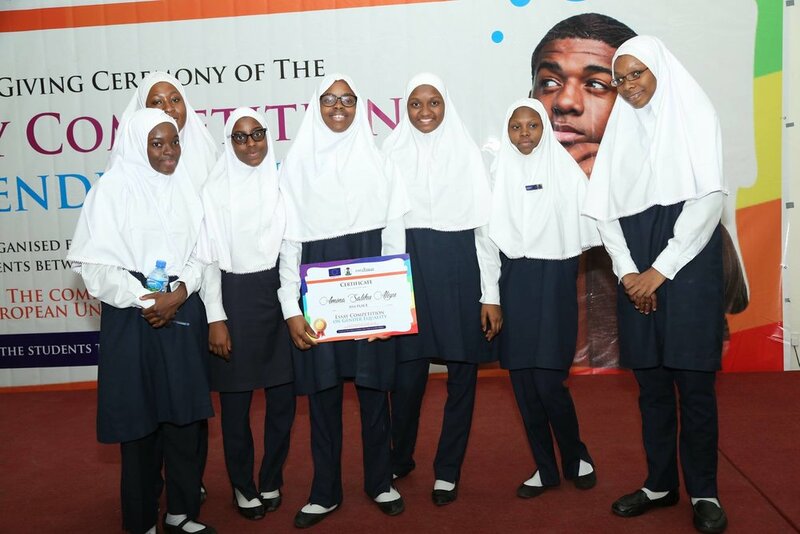 13 school children received awards for their essays on gender equality at the ceremony held on the 28th November in Abuja. The top three winners won a laptop each as well as a grant for books, while the 10 runners-up received a grant for books. The competition was open to students aged between 13 and 16 from Nigerian secondary schools. They were asked to write an essay of 500 and 1000 words describing their vision of gender equality. The competition forms part of the European Union Gender Action Plan and aimed to stimulate children’s awareness of the role of women in society. Over 500 entries were received. Ambassador Ketil Karlsen also said that addressing issues that bear on gender stereotyping in Nigeria would encourage the participation of women in key sectors of the country’s economy, and that the union was eager to support Nigeria to facilitate a balanced gender system for women and young girls.